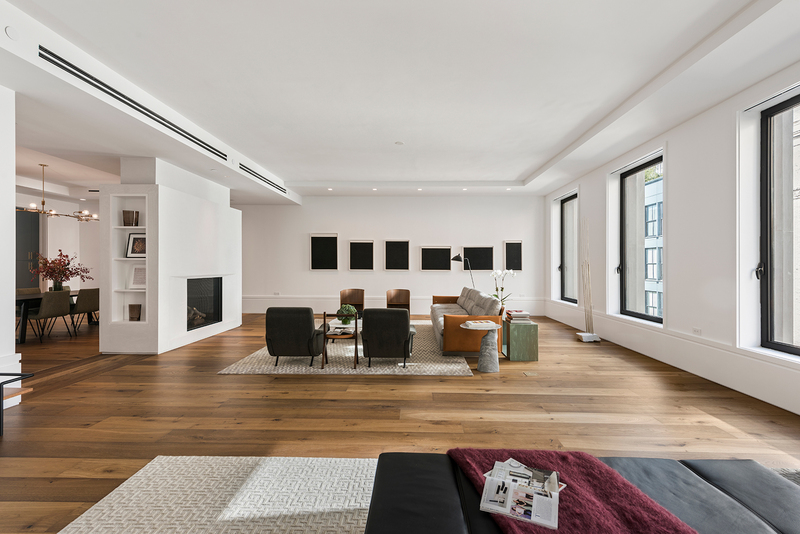 Loft Five at 150 Wooster is a full-floor, 4 bedroom, 4.5 bath and 4,271 square foot residence flooded with natural light. The interior was designed with wide-open spaces and large-scale windows as an homage to the original Soho artists’ residences of the 60s and 70s, while incorporating exquisite detailing and modern conveniences, including 18” millwork baseboards and large-plank fumed white oak floors, as well as a fully integrated Lutron lighting system and a 184 square foot private balcony. As an added luxury, this residence has been pre-wired for a smart home automation system and Lutron motorized shades.